There are many different reasons why people get involved in geocaching (for anyone who needs some background information on geocaching, check out my video; here’s another video on how to geocache). One common reason that I found throughout my research, though, is that geocaching facilitates social interaction. This social interaction goes further than that of the traditional social media website, though. Rather, this social website not only facilitates virtual social interaction, but also physical social interaction. This integration of the two forms of social interaction is becoming more and more important in an age where the Internet has become the norm. While geocaching begins on the Internet, it branches off into a multi-dimensional activity of social interaction and geographical, goal-directed exploration. A term used to describe this interpersonal element of the treasure hunt is social walking. Essentially what this means is that it creates an opportunity to “get out and walk.” It’s important to note that the activity is not defined by the destination (aka actually finding the geocache). Rather, the physical experience of getting to this destination is an integral part of the activity. As such, geocachers tend to not do this alone. This prospect of exploration often entices friends and outsiders to caching to join in on the hunt. Even if an individual is not a cacher, by participating, they can still see and experience things that they might not otherwise have. This is because often times, the location of the cache (chosen by the creator) has some sort of significance, whether it be the historical value or aesthetic appeal of the setting. Thus, for the non-cachers in the group, the actual journey is still appreciated, creating an incentive to tag along. This is a basis on which geocaching becomes a social group activity. Geocaching also presents the player with an intellectual challenge. Though the GPS can easily bring the player to the vicinity of where the cache has been placed, it is their responsibility to locate the specific hiding place of the cache through the deciphering of the hints/puzzles and creative searching. This aids in uniting the group towards a specific goal. Another important aspect of this physical socilization is that geocaching is an ongoing activity, where the cacher can keep a running total of how many caches they have found over time (there is even a website that keeps track of cacher statistics). The website creates a sense of purpose by keeping a record of one’s progress. This call to action pushes the cacher out to find more caches in order to build their collection/profile. For instance, this past summer, one of my friends who geocaches was determined to hit 300 caches found by the end of the season. There were a few times where I was out biking with him, when I’d find myself stopping at specific locations to help search for these geocaches. With 250 caches at the time and only a few weeks left in summer, he saw it as a difficult, yet achievable goal. Through research on the topic and actually going out and geocaching myself, I can see that the physical socialization aspects of geocaching are just as important as the virtual socialization aspects of it. 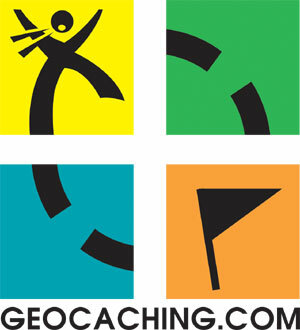 Because of this hybrid of the two, the culture of geocaching is a very unique environment. It’s not just a game and website that’s experienced, but rather something that’s lived, as well. For instance, within the community, a body of geocaching-specific terminology has emerged. Accordingly, I wonder how friendships are maintained and cultivated through the website. Do users find other people on the website with similar interests, and then proceed to cultivate a physical friendship from that, rather than just keeping a virtual friendship? Or, do users mainly gain other geocaching friends just through outsiders (that they already knew from physical relationships) that they bring into the culture? The present research available on the topic is unfortunately too limited, and I could not find the answer to this question. I know with my experience talking to others that geocache, it has involved a little of both (but mainly leaning towards bringing outsiders in). One person I’ve talked to noted that he’s made friends on the website that he’s gone geocaching with. But, also noted that this friendship has been limited to the activity of geocaching. So, with this in mind, is there still a stigma surrounding meeting people in physical space that one first met on the Internet? Perhaps geocaching is an indicator of how the Internet is beginning to stabilize between both the physical and virtual world. Some of the first social networking websites that cropped up, such as Facebook and MySpace, were purely a form of virtual socialization. While these sites have proven to connect people from all around the world and all sections of society in ways that could not have been done previously, it has also been argued that these sites are physically disconnecting people from each other. Social networking sites like geocaching.com, though, are beginning to yet again shift how people are interacting with one another. As the Internet has progressed and grown, so have these social networking websites. Mobile technology has been a large facilitator in this, allowing users to log onto the virtual world from anywhere, any time, rather than being stuck in front of a computer at home. Geocaching, much like FourSquare and the iPhone app Mob Zombies, looks to integrate the virtual with the physical. With the constant advancement of easily mobile Internet devices, such as most recently the iPad, and the continued migration of social networking sites towards the physical realm, it will be interesting to see what new mediums and contexts social networking and GPS are used for in the future. Since some people in class did not know much about geocaching, I wanted to post a video explaining the game/site before posting my concluding blog. If you guys have any more questions about geocaching after watching the video, just leave a comment and I’ll make sure to answer them. There are many different aspects to the community of geocaching, and a lot of the learning just comes from actually going out and participating in the activity. I’ve only gone a handful of times previously, but have learned quite a lot more about the activity through my research for this class the past couple of weeks. As much as I feel like I have been finding a lot of positive aspects surrounding Geocaching through my research, I have to say that I found myself disappointed tonight in the way in which the actual company of Geocaching.com (owned by Groundspeak) is run. A few days ago, I had posted a question to the “Forums” section of www.geocaching.com, asking people why they geocached, who they geocached with, and what they got out of it, stating that I was interested for a university course I was taking. A day later, I received an email from a Forums maintenance person, saying that “polls” are not to be posted on the forums without permission; he gave me an email address at Groundspeak to contact in order to ask for consent. I just received a response today, stating that they will not allow my survey on the forum, even though I stated it was for educational purposes. I thought most companies are usually happy to help out for the purpose of education, so I was disappointed by this response and thought I’d share it with you. On the plus side, though, the original contact was helpful and directed me to a thread where someone had already asked those reading, “Why do you geocache?” If you guys want to check it out, there’s some great posts in there that help to show the physical socialization aspects of the game. I had asked him if it would be okay to simply post “Why do you geocache?” to the forum, but he steered me away from this course of action, stating that getting permission is the best route- I guess he was already jaded by my ulterior motive of education . Do you guys have problems when asking companies for information for educational purposes when doing any sort of research? Did I just go about this all wrong? I usually receive pretty positive responses when I mention the research is for school, so I thought this would have been the best route to take. But I guess not! Q: Does Geocaching Facilitate Physical Social Interaction? Ahoy, me hearty! After sailing all seven seas of the World Wide Web, I have brought you a booty of information on modern day pirate treasure hunting, or “geocaching” as thar landlubbers call it! Firstly, it’s important to keep in mind that this activity is much more than a simple treasure hunt, as hobbyists quickly discover upon becoming involved with geocaching (called “caching” by the gentlemen o’fortune). There’s a rich history to how the activity started and its successful growth through the years. An abbreviated version, though, will do for now: it started in 2000 with just 1 cache being placed right outside of Portland, Oregon; today, it’s a worldwide activity with 983,726 active caches and counting. Geocaching never would have become as popular as it is today, though, without the Internet (and the handheld GPS). Its online social community is integral to the way the game operates; like other more traditional social media websites, such as Facebook and Myspace, it has been able to connect people from all around the world through the ease of a mouse click. This Internet-based social community might be only part of the reason geocaching is successful, though, much unlike the more traditional social media websites. By its very nature, geocaching seems to also promote a sense of physical socialization, which many other social media websites fail to do. The beauty of caching is that it takes the player outdoors, adamantly following clues, puzzles, comments, and the obscure ever-shifting arrow on a handheld GPS device. The cacher hopes that this information will ultimately lead him to the end prize: a hidden container with a log book (where people log their caching name as proof that they found the cache) and possibly “treasure” (ranging from little trinkets, such as a key chain, to $100 store gift certificates and even $60 in cash). Geocaching thus becomes a bimodal medium of communication, creating opportunities for members to communicate in a richer and more diverse fashion than that of traditional social media. I hope to cover at least 2 of these topics, but feel as if the blog post might become too lengthy. What would you like to hear about? Until next time! Yo, ho, ho!